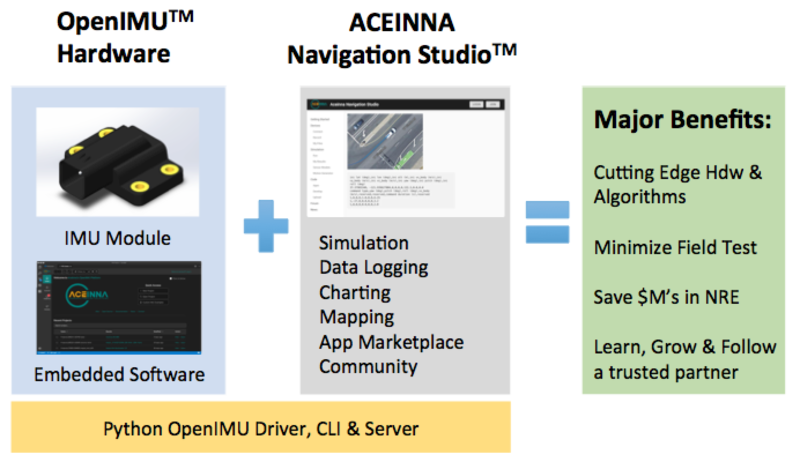 OpenIMU is a professional-grade open-source stack for IMU and GPS/INS navigation development. 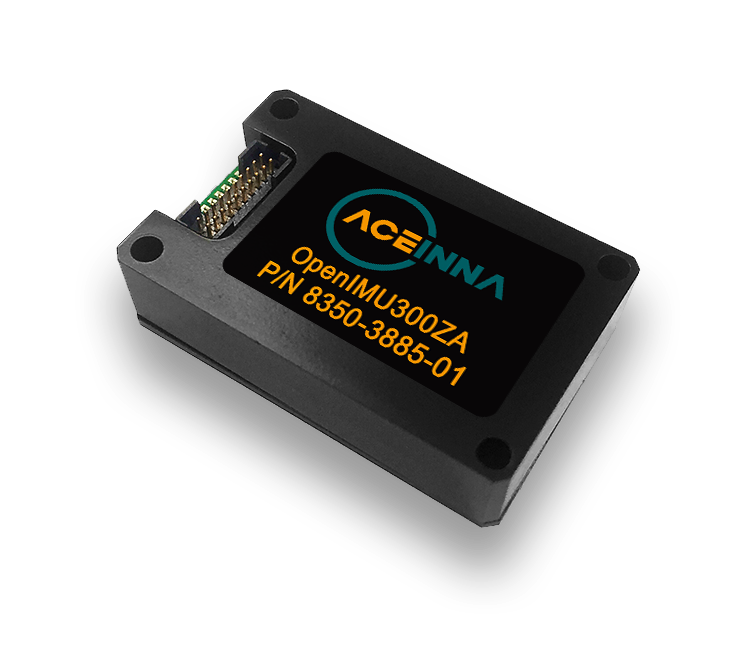 OpenIMU hardware modules are low-cost, low-power and precise. They are fully calibrated over temperature for all static error sources. OpenIMU includes a powerful and customizable Kalman Filter. OpenIMU developer kits are $395 and in-stock. They include an OpenIMU300, JTAG Pod, EVB, and precision fixture. 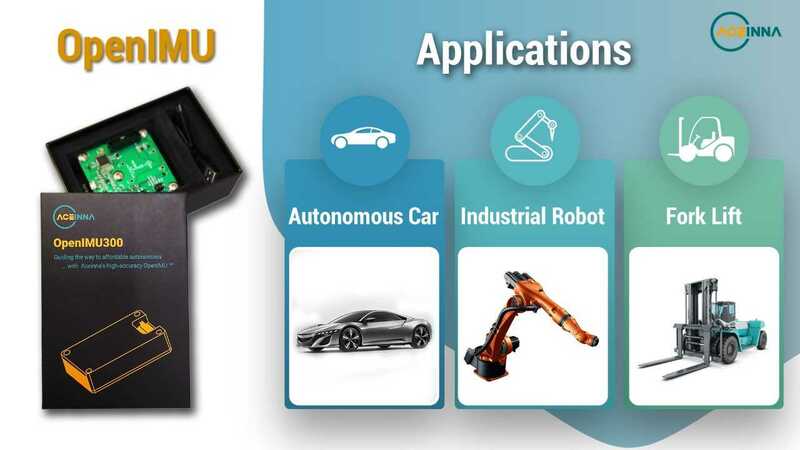 In production, OpenIMU300 modules are less than $100. 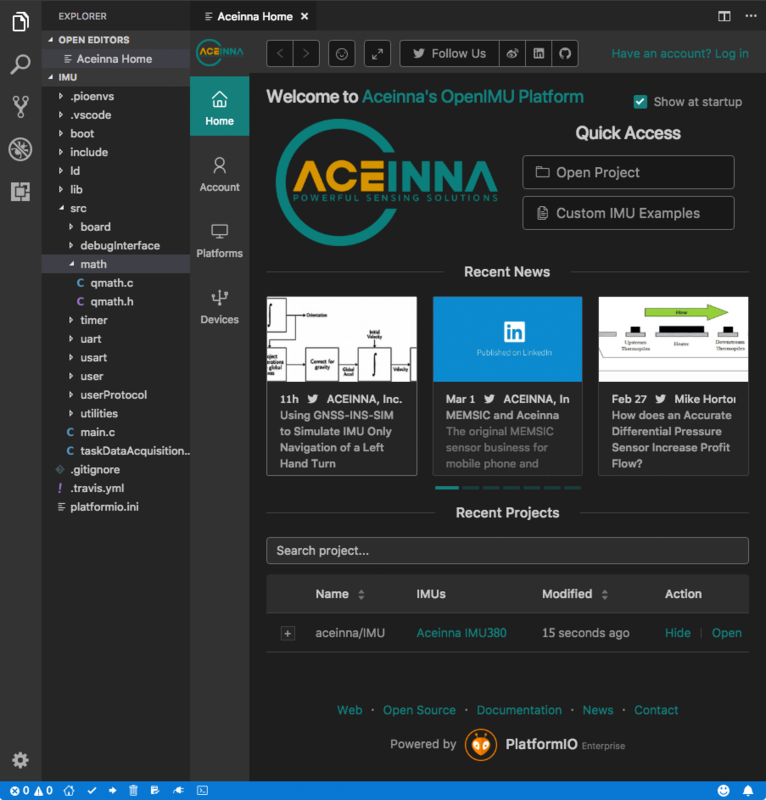 To get started install Microsoft Visual Studio Code, and then install the Aceinna Extension. Python drivers and a convenient Web visualization app, make custom development easy and fun.